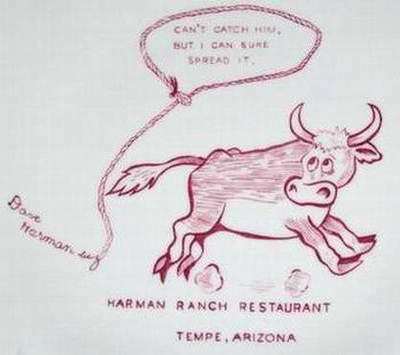 Opened in 1952 by Dave and Belle Harman along the Tempe-Mesa Highway, the Red Barn served customers for only about twenty years. 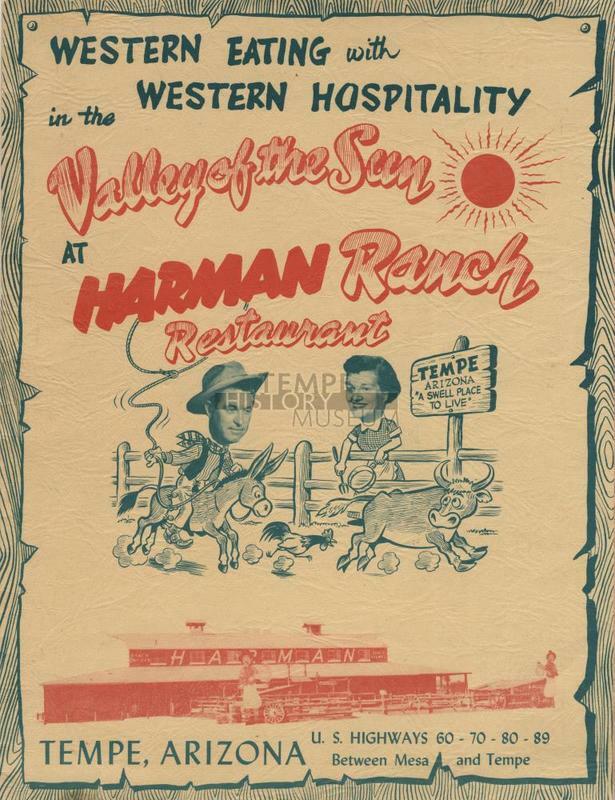 Among the many items on Harman's menu was "Kentucky Fried Chicken." The family had licensed the recipe from Harland Sanders, who had not yet opened his restaurant franchises. 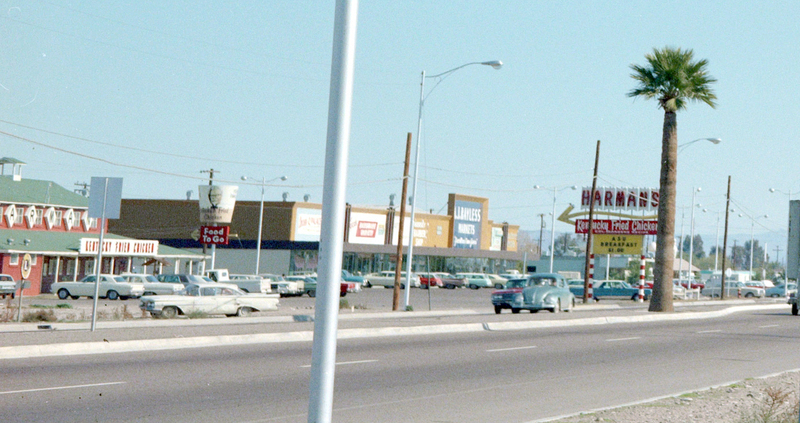 The KFC franchise slogan, "finger licking good," may even have been born in Tempe. The idea to license Sander's recipe came from Pete Harman, the brother of Red Barn owner Dave Harman. Indeed, brother Pete owned restaurants in Salt Lake City, and Pete was the first franchisee of Kentucky Fried Chicken. 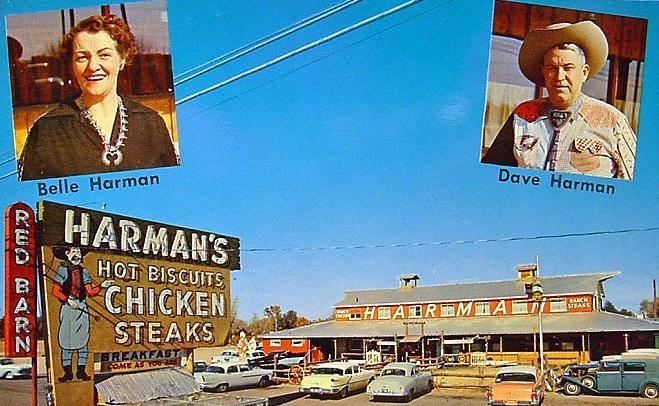 Peter Harman helped develop and extend their franchising system. 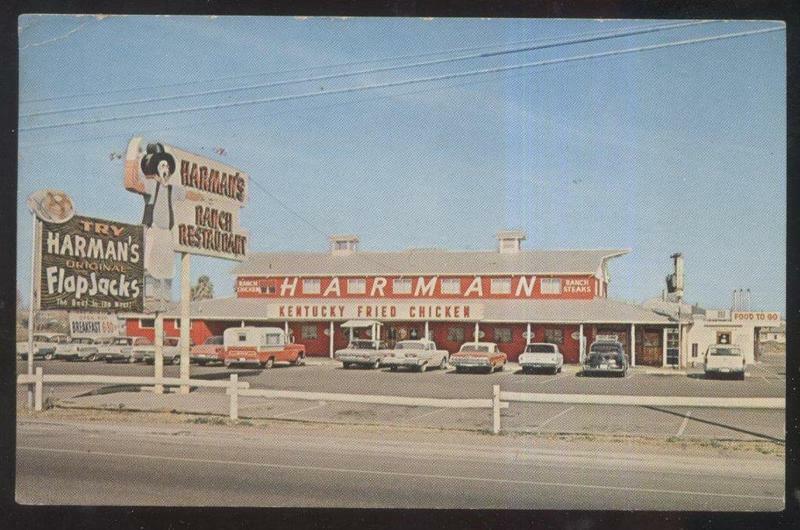 It is perhaps not surprising that after Harman's closed in the 1970s, the iconic red barn was demolished and replaced by a Kentucky Fried Chicken Franchise. 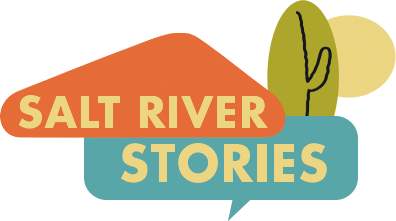 Salt River Stories Team and Mark Tebeau, “Harman's Red Barn Restaurant,” Salt River Stories, accessed April 18, 2019, https://saltriverstories.org/items/show/254. Jay Mark, "King of jungle lived pitiful life at Tempe restaurant," Arizona Republic, October 14, 2011, accessed March 3, 2017. 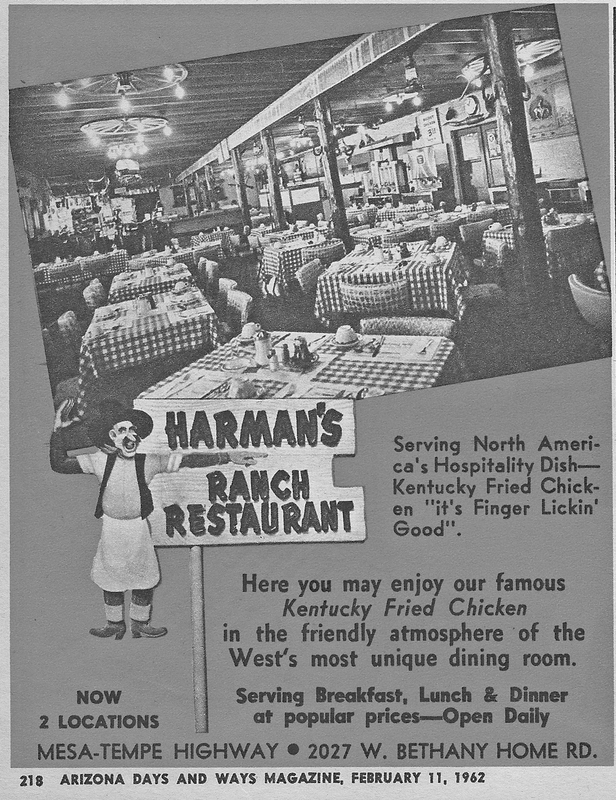 History Adventuring, "The Connection with Harman's and Colonel Sanders Kentucky Fried Chicken," accessed March 3, 2017.